Cam Bedrosian served up two earned runs on three hits in the ninth inning to blow the save but picks up win as the Angels beat the Orioles 3-2. 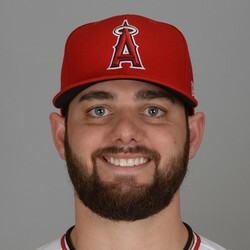 With Keynan Middleton shelved for the foreseeable future and the closer role up in the air in Los Angeles, Bedrosian did his best to keep the Halos' ninth inning picture as murky as ever by blowing a 2-0 lead. Were it not for Justin Upton bailing him out with a walk-off RBI single in the bottom frame, Bedrosian's night could have been worse but he got the win. It's difficult to ascertain at this point whether he will continue to get many save opportunities moving forward with both Jim Johnson and Justin Anderson also in the picture.